Match ends, FC Kansas City 0, Chicago Red Stars 0. Second Half ends, FC Kansas City 0, Chicago Red Stars 0. Attempt blocked. Mandy Laddish (FC Kansas City) left footed shot from the centre of the box is blocked. Assisted by Heather O'Reilly with a cross. Offside, FC Kansas City. Shea Groom tries a through ball, but Heather O'Reilly is caught offside. Attempt saved. Lo'eau LaBonta (FC Kansas City) right footed shot from outside the box is saved in the centre of the goal. Assisted by Mandy Laddish. Attempt blocked. Mandy Laddish (FC Kansas City) left footed shot from the centre of the box is blocked. Attempt blocked. Shea Groom (FC Kansas City) right footed shot from the centre of the box is blocked. Assisted by Becky Sauerbrunn. Lo'eau LaBonta (FC Kansas City) wins a free kick in the attacking half. Attempt missed. Lo'eau LaBonta (FC Kansas City) right footed shot from outside the box misses to the right. Assisted by Mandy Laddish. Attempt missed. Lo'eau LaBonta (FC Kansas City) right footed shot from outside the box misses to the left. Assisted by Mandy Laddish. Offside, FC Kansas City. Mandy Laddish tries a through ball, but Heather O'Reilly is caught offside. 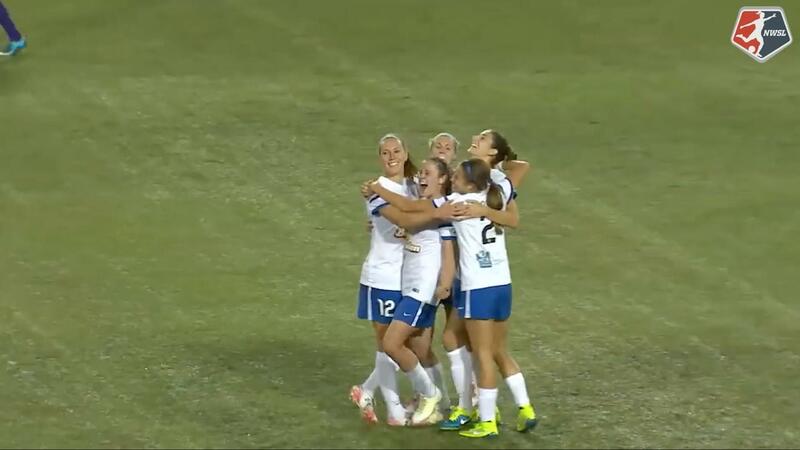 Shea Groom (FC Kansas City) wins a free kick on the left wing. Substitution, FC Kansas City. Katie Bowen replaces Alex Arlitt. 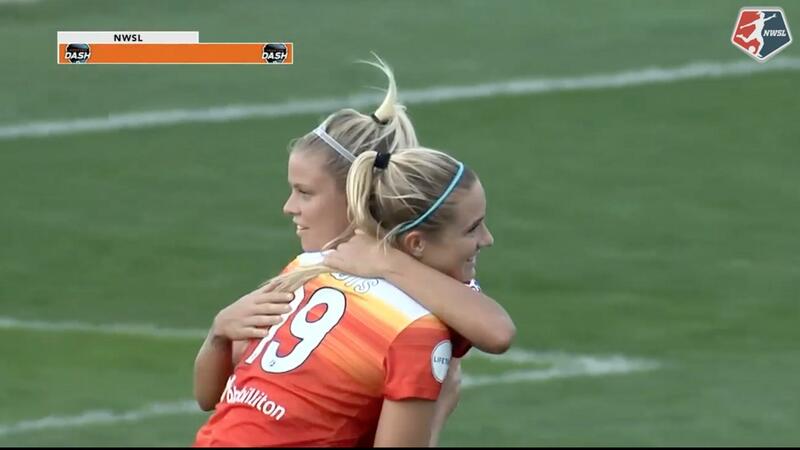 Julie Johnston (Chicago Red Stars) wins a free kick in the defensive half. Corner, FC Kansas City. Conceded by Sofia Huerta. Attempt blocked. Heather O'Reilly (FC Kansas City) right footed shot from outside the box is blocked. Assisted by Lo'eau LaBonta. Substitution, FC Kansas City. Frances Silva replaces Tiffany McCarty. Brittany Taylor (FC Kansas City) wins a free kick on the right wing. Offside, FC Kansas City. Heather O'Reilly tries a through ball, but Shea Groom is caught offside. Attempt missed. Tiffany McCarty (FC Kansas City) right footed shot from the left side of the box is high and wide to the right. Assisted by Heather O'Reilly. Substitution, FC Kansas City. Lo'eau LaBonta replaces Caroline Kastor because of an injury. Delay in match Caroline Kastor (FC Kansas City) because of an injury. Attempt blocked. Shea Groom (FC Kansas City) right footed shot from outside the box is blocked. Heather O'Reilly (FC Kansas City) wins a free kick on the left wing. Second Half begins FC Kansas City 0, Chicago Red Stars 0. First Half ends, FC Kansas City 0, Chicago Red Stars 0. Attempt missed. Tiffany McCarty (FC Kansas City) right footed shot from outside the box is high and wide to the right. Assisted by Heather O'Reilly. Offside, Chicago Red Stars. Vanessa Di Bernardo tries a through ball, but Alyssa Mautz is caught offside. Foul by Alex Arlitt (FC Kansas City). Attempt missed. Heather O'Reilly (FC Kansas City) left footed shot from outside the box is high and wide to the right. Alex Arlitt (FC Kansas City) wins a free kick on the left wing. Cara Walls (Chicago Red Stars) wins a free kick in the defensive half. Foul by Tiffany McCarty (FC Kansas City). Substitution, Chicago Red Stars. Alyssa Mautz replaces Stephanie McCaffrey. Corner, Chicago Red Stars. Conceded by Brittany Taylor. Attempt blocked. Vanessa Di Bernardo (Chicago Red Stars) right footed shot from outside the box is blocked. Assisted by Sofia Huerta. Delay in match Sarah Gorden (Chicago Red Stars) because of an injury. Corner, Chicago Red Stars. Conceded by Desiree Scott. Heather O'Reilly (FC Kansas City) wins a free kick in the defensive half. Attempt blocked. Vanessa Di Bernardo (Chicago Red Stars) right footed shot from the centre of the box is blocked. Assisted by Sofia Huerta with a cross. Attempt missed. 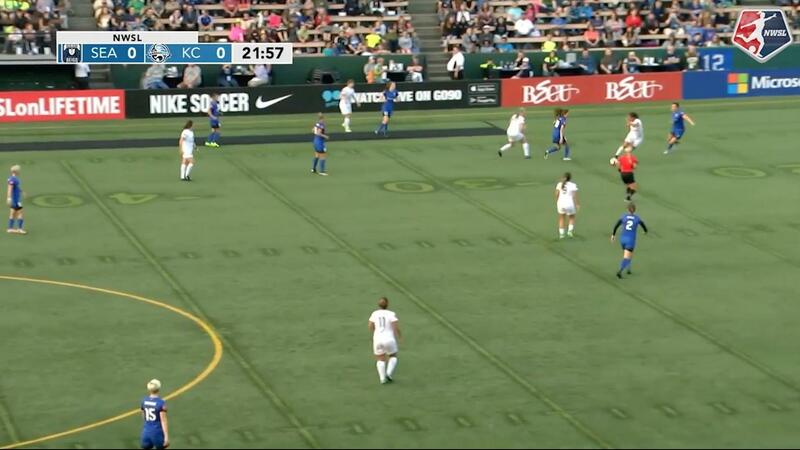 Becky Sauerbrunn (FC Kansas City) right footed shot from outside the box is too high. Attempt missed. Sofia Huerta (Chicago Red Stars) header from the centre of the box is close, but misses to the left. Assisted by Vanessa Di Bernardo. Attempt blocked. Cara Walls (Chicago Red Stars) right footed shot from the centre of the box is blocked. Assisted by Casey Short. Substitution, Chicago Red Stars. Sarah Gorden replaces Arin Gilliland because of an injury. Corner, FC Kansas City. Conceded by Alyssa Naeher. Attempt saved. Brittany Taylor (FC Kansas City) right footed shot from the left side of the six yard box is saved in the bottom left corner. Assisted by Caroline Kastor with a headed pass. Corner, Chicago Red Stars. Conceded by Alex Arlitt.